Our mission is to provide inspirational stories, business strategies, and relationship building opportunities for everyone who attends our monthly luncheons. We have local leaders speaking each month sharing their moments of grit, passion, and success! Join us at Inspired Leaders on the 2nd Friday of each month starting at 11:30am. This luncheon is held at Diamond Client Group in The Woodlands, Texas. Everyone is welcome to attend, we simply ask that you RSVP on the Facebook event so that we can get a head count. Bring your business cards and plan to network! 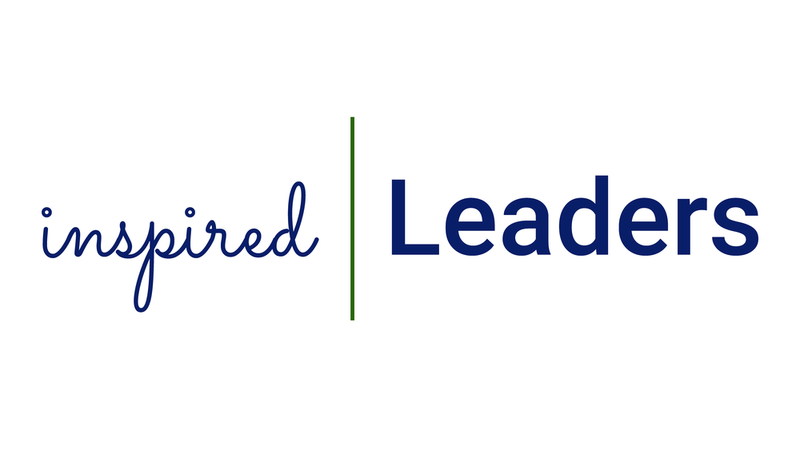 Click the button below to RSVP on our Facebook page to the next Inspired Leaders Luncheon. You won't want to miss it! thank you pabloe vasquez for being march’s guest speaker! Pablo Vasquez from Houston Methodist The Woodlands Hospital joins us this month at Inspired Leaders! We are thrilled to have someone from such a large, successful organization join us and speak to our guests! Each month is full of surprises, and this month was not short of them. Pablo shares his story from starting out as a nurse to a leadership role. He gives guidance on managing all types of people and the things you can do in a leadership position to better yourself and your team members. thank you eddie skinner for being February’s guest speaker! What a privileged it was to have Eddie Skinner, the owner of Storehouse Mortgage with us this month for Inspired Leaders! He gets personal and shares the importance of guarding your heart in life and business. Eddie is an inspiration to many and we are honored that he spoke with us. Visit www.storehousemortgage.com to find out more about home loans. thank you Jentry kelley for being january’s guest speaker! Jentry keeps it real with her inspiring story of the roadblocks she has had to overcome to get to where she is today; the owner and creator of her own makeup line. Jentry's sparkling personality shines through, and no, the entire talk is not about makeup! So men, do not hesitate to tune in. Visit www.jentrykelley.com to check out her cosmetics line. thank you steve scott for being december’s guest speaker! Steve Scott has spoken in rooms with hundreds of people and he was so gracious to speak at Inspired Leaders! Steve is a personal business coach, entrepreneur and author. Visit www.thehoustonbusinesscoach.com for more information about Steve’s profession as a business coach. For December’s luncheon, Steve shared his tools to having the best year yet! Positive Wishing vs. Positive Thinking, why you should not be a complainer and how to face the Five Enemies From Within. thank you bob milner for being november’s guest speaker! Bob Milner has read 62 books this year! He is a wealth of knowledge and a guy you want to know. He owns multiple businesses, teaches college and entrepreneurial classes, and focuses on community and being able to give back. He is constantly learning, growing and sharing with the people around them to help and encourage their growth. "No matter where you are in life, there is always someone you can help." Are you leaving a footprint of impact? thank you demetrius walker for being october’s guest speaker! Demetrius Walker is a renaissance man, dabbling in DJing, business development at Lonestar Community College, an author and has even created his own clothing line. He encourages us to dream and reach for those goals that we never thought possible. thank you terry weaver for being september’s guest speaker! Terry Weaver is the founder of VEL Institute. The VEL Institute works to help Veterans, entrepreneurs, and leaders connect and develop through collaborative learning. To find out more visit velinstitute.org. Terry gave an amazing talk encouraging you to lead those around you through acts of service. thank you Frank gray for being august's guest speaker! Frank gave a heart wrenching talk where he revealed many struggles he has overcome in life including filing for bankruptcy and having a child with special needs. thank you Josh Cherry for being July's guest speaker! Josh gave an incredible talk encouraging you to dream BIG and to reach for those goals that seem unattainable.